eatery and a bistro. So far, I always went to the upscale part, but this time I tried out the rustic one for the first time. 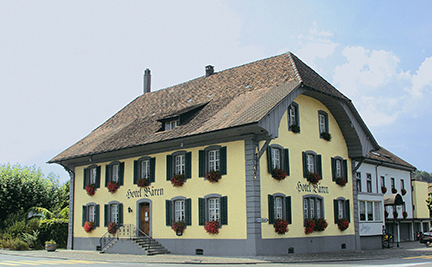 The Baeren’s location on a much-frequented road about 5 minutes from Aarau is not exactly picturesque, but we are here for the food. 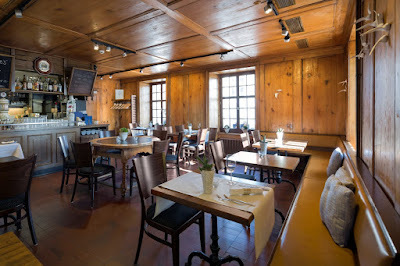 As mentioned, there are 3 different restaurants: the classy Baerenstuebli with refined cuisine (awarded with 14 points Gault-Millau), the rustic Suhrerstuebli with rather traditional fare and the Restaurant Bistro for a quick bite. Having visited the gourmet restaurant several times, a few words to this section before having a look at the rustic eatery. When I dined at the Baerenstuebli last time end of 2015, I was not happy with the offered (food was bland and not hot enough), and this for the first time at this restaurant ever. But shortly afterwards, at the beginning of 2016, there was a change in the kitchen. 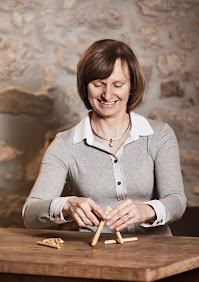 A new chef with work experience at acclaimed restaurants in the area (Restaurant Attisholz near Solothurn and Restaurant Sonnenberg in Zuerich) took over. Before venturing to the signature restaurant, I decided to give the rustic eatery a shot and this for lunch. The restaurant is small, there are less than 10 tables, but it is cozily furnished with a lot of wood. Although the style is not my cup of tea, you feel comfortable in here. I like it that the tables are left bare because in many other comparable restaurants they have tablecloths that are not changed after every guest, an unacceptable thing. Service was friendly and efficient without leaving a memorable impression in any form or by any means. The Suhrerstuebli has an interesting approach for the lunch set menu. There is a selection of 7 main courses where an appetizer – out of 4 – is included in the price. This is the first time that I came across to such a food concept. There is also an a la carte menu where Swiss classics predominate. As far as the price level is concerned, this can be described as mid-range. 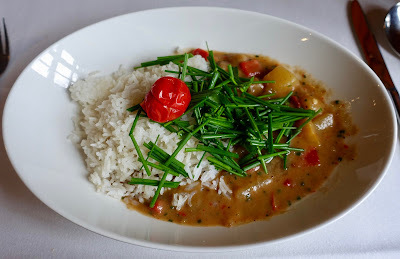 My friend and I opted both – as lovers of Asian food – for the massaman curry with basmati rice as main course and a smoked trout tatar with orange and fennel as starter. The curry was tasty and mild as it is supposed to be with a bit too much herbs on top, the fish tatar together with the slightly acidic and anise flavors blended magnificently. I was impressed by the perfect execution of the dishes, my compliments to the chief. 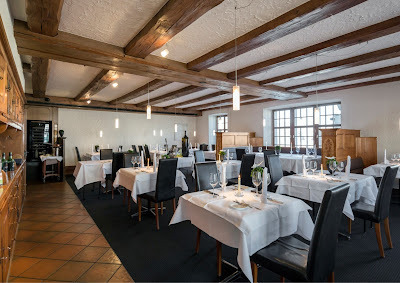 While I did not get enthusiastic about the former chef at the Baeren, being in charge from mid 2014 until end of 2016, I was amazed by the high quality of my lunch at Suhrerstuebli. Under the aegis of the new chef, Martin Elschner, a high quality, Asian inspired cuisine found its way to this neighboring village of Aarau. 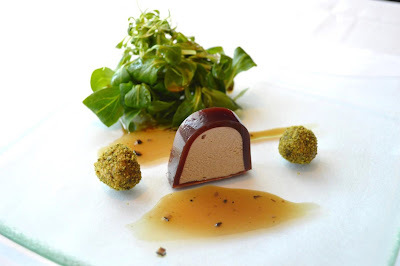 Considering that this meal did not even take place at the signature restaurant, I have high expectations as to my first dinner at the gourmet section (Baerenstuebli).